Academy Award® winner Halle Berry (Best Actress, Monster's Ball, 2001) "gives a tour-de-force performance" (Access Hollywood) in the riveting psychological drama, Frankie & Alice, arriving on DVD (plus Digital), Digital HD, Video on Demand and Pay-Per-View August 12 from Lionsgate Home Entertainment and Codeblack Films. 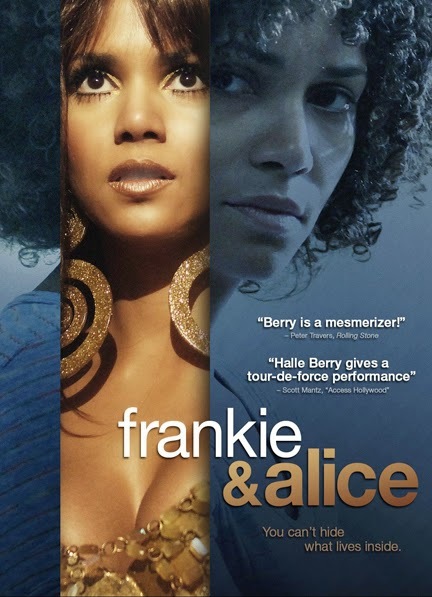 Berry will "have you captivated from beginning to end" (Ebony.com) in her Golden Globe® nominated portrayal of Frankie, a woman with multiple personalities trying to put her life back together. From the executive producers of Introducing Dorothy Dandridge, the film also features Stellan Skarsgård, Phylicia Rashad and Chandra Wilson. The Frankie & Alice DVD including a "making of" featurette. The remarkable true story of an African American go-go dancer named "Frankie" who has dissociative identity disorder (DID). She struggles to retain her true self while fighting against two very unique alter egos: a seven-year-old named "Genius" and a Southern white racist woman named "Alice." In order to stop the multiple voices in her head, Frankie (Berry) works with a psychotherapist (Skarsgård) to uncover and overcome the mystery of the inner ghosts that haunt her, and the truth that is locked inside her mind.